Perhaps appropriately for a continent that is not short on people, human capital has become Asia’s issue du jour. During StrategicRISK’s recent travels throughout the Asia-Pacific region, we heard countless tales of the perils of people risk and it has become clear that the acquisition and retention of talent is a key concern for almost all corporates operating in the region. To give only one example, I heard of a risk-mapping exercise carried out by a Hong Kong-based organisation that was concerned about the poaching of its talent. It showed that even though the company was spending a lot of money educating its people, competitors were pinching them once they had been trained. It is indicative of a lack of ‘bench strength’ in many companies, which, coupled with high personal costs and low salaries (in comparison to similar roles in Europe and the US) and low notice periods, means keeping and growing talent is tough. To make matters worse, there is a common perception that even the best strategies may not be enough to retain ‘Generation Y’. Particularly for highly specialised areas, employee-retention programmes and investments to recruit and train are challenged by a trend towards ‘job-hopping’. This partly explains why one of the region’s most respected HR experts is keen to see the risk and human resources functions of Asia’s corporations become more integrated. 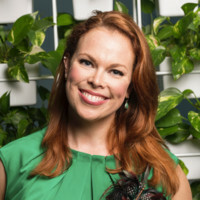 Nicky Wakefield is an economist with an MBA in organisational strategy and change, as well as what she calls a “passion for human performance”. It is a useful combination for the leader of Deloitte’s South-East Asia human capital consulting practice and it mirrors the mix of expertise and experience that modern-day business leaders require. Wakefield believes that risk and HR need to be more closely aligned for a number of reasons. One is that core business risk nowadays is often people-centric, whether it comes to acquiring the right set of skills, training that talent, getting people in the right roles and locations for business needs or – most importantly – being able to find and keep talented leaders. Indeed, the presence of several emerging markets, the prevalence of a young and ambitious workforce, evolving regulation and significant generational differences are all making it difficult to find, develop, deploy and retain leaders in the region. In short, organisations need to make themselves more attractive to potential employees, particularly to young people. Wakefield calls it being a ‘talent magnet’. Clear career progression prospects are key to this, as are leaders who take an active interest in the careers of their team members. “Being good mentors and coaches is also incredibly important,” Wakefield adds. Companies that ignore this advice do so at their peril and risk becoming talent repellents.